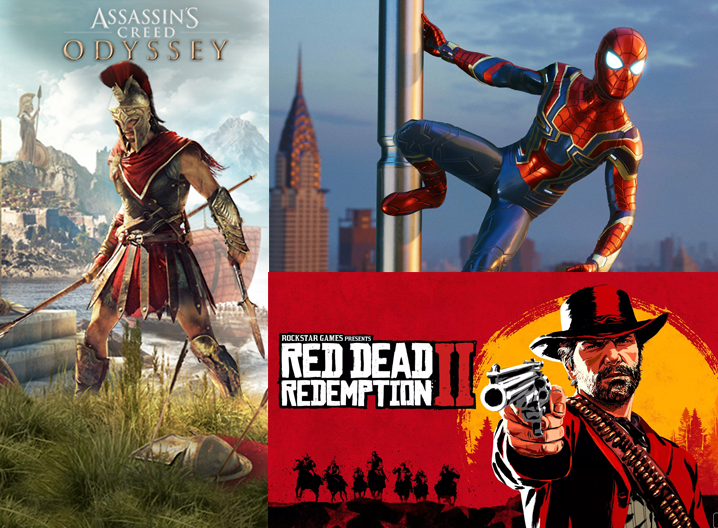 It’s been a good year for video game blockbusters with the arrival of Spider Man, Red Dead Redemption 2, and Assassins Creed Odyssey. Some of you have already gotten your hands on these outstanding games that critics have praised to the highest degree and have messaged me personally on 8989 on how good they are. Assassins Creed Odyssey has been compared to one of the best RPGs of all time, Witcher 3. I know I’m saving up for these 3 games. If you’re ever up for a game on PS4 with me, look me up! My username is wesmalik on PS4.